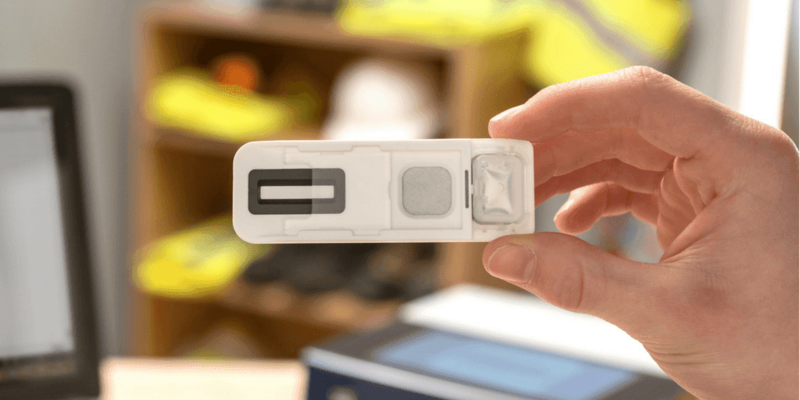 Fingerprint drug test innovator wins at 2018 SME Cambridgeshire Business Awards! Intelligent Fingerprinting, developer of the world’s first fingerprint-based drug test, has won two major categories at the 2018 SME Cambridgeshire Business Awards. Originally shortlisted in the Innovation category – for the launch of its revolutionary non-invasive drug test that works by analysing sweat from a fingerprint to determine if someone has recently used cocaine, opiates, amphetamines or cannabis – Intelligent Fingerprinting was proud to win both the Innovation category, as well the Overall SME Cambridgeshire Business Award for 2018. Intelligent Fingerprinting’s CEO, Dr Jerry Walker and Business Development Director, Dr Paul Yates were on hand to receive the awards at a gala dinner at Newmarket Racecourse last week. Dr Jerry Walker said: “The company is proud to have been part of the SME Cambridgeshire Business Awards 2018, and to have competed against such a strong field of entrants. We were excited about our nomination in the prestigious Business Innovation category, and were particularly delighted to receive the award on the night. Winning the Overall SME Cambridgeshire Business Award for 2018 was the icing on the cake! Following this success, Intelligent Fingerprinting has automatically been shortlisted for the SME National Business Awards – with the winner being announced at a gala dinner on the 7th December at Wembley Stadium. 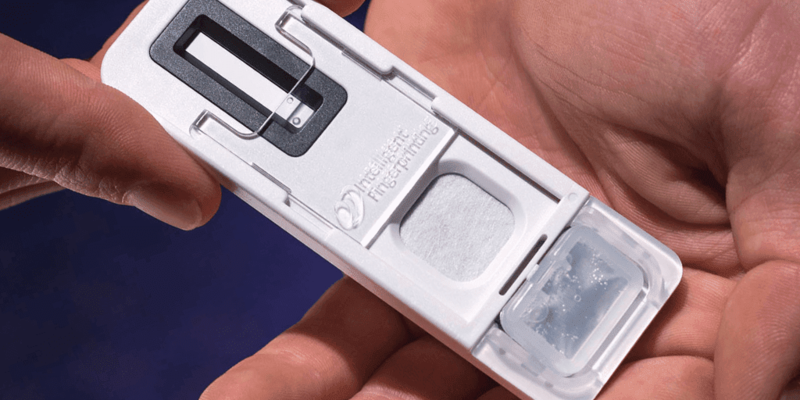 Intelligent Fingerprinting’s end-to-end drug testing solution features a single-use, tamper-evident drug screening cartridge that takes just five seconds to collect a sweat sample. 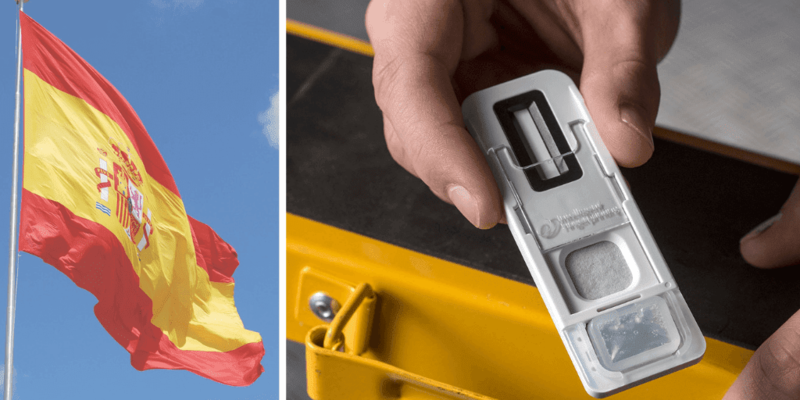 The Intelligent Fingerprinting Reader 1000 portable analysis unit then reads the cartridge and, in minutes, provides a positive or negative result on-screen for cocaine, opiates, cannabis and amphetamines. An introductory video demonstrating fingerprint-based drug testing in action is available here.